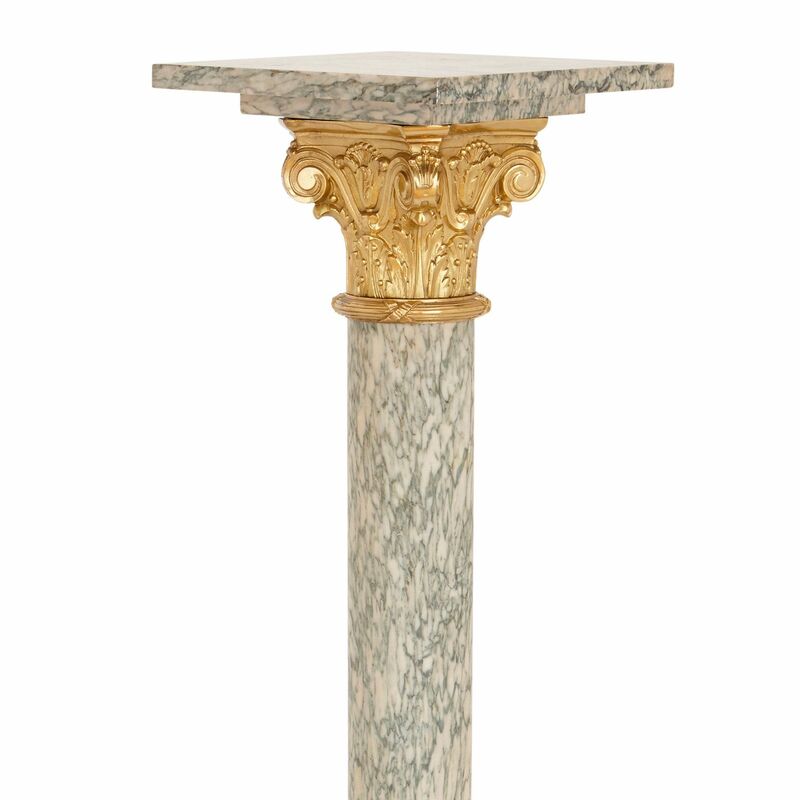 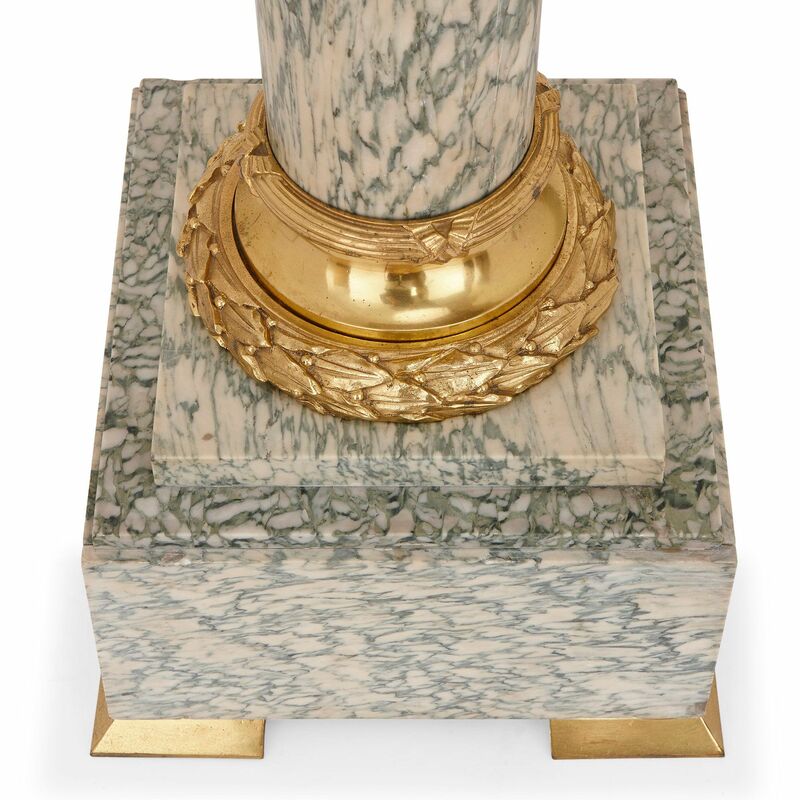 These elegant pedestals are made from beautiful green and white Vert d'Estours marble and represent a fine example of 19th Century Neoclassical design. 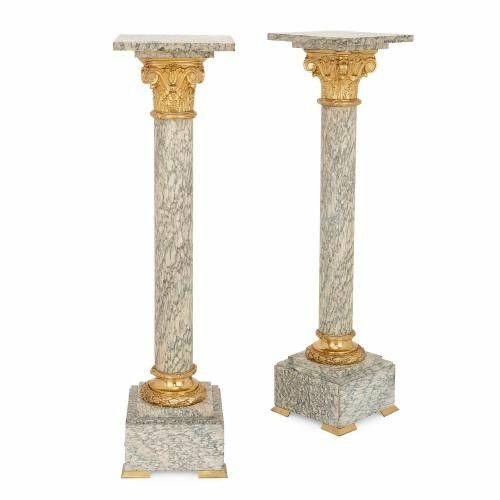 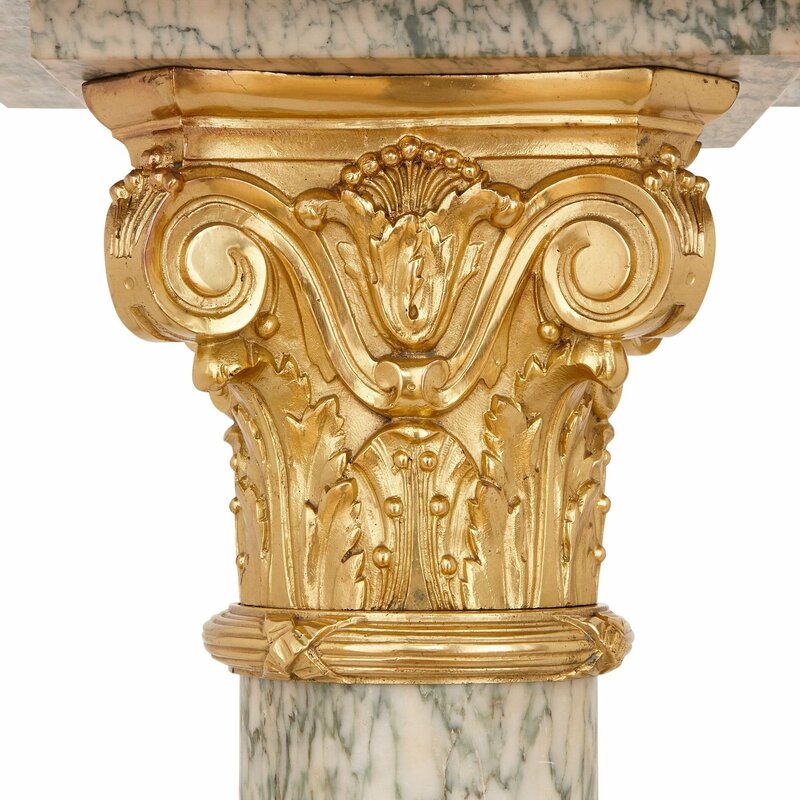 The pair of pedestals feature green and white veined Vert d’Estours marble columns, surmounted with ormolu Corinthian capitals, all supporting square marble tops. 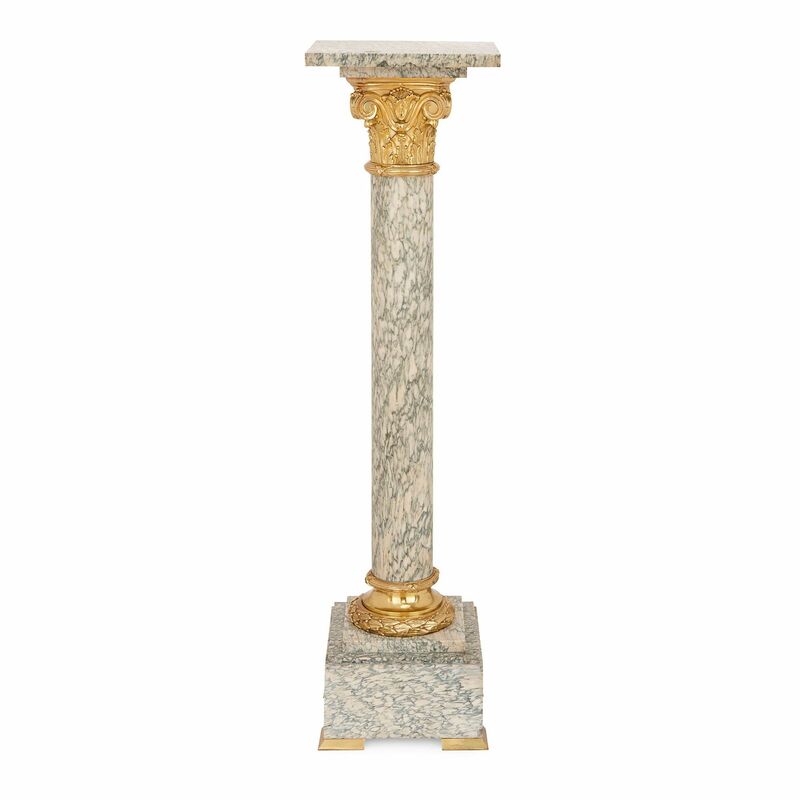 They are set on shaped marble square bases with short ormolu feet. 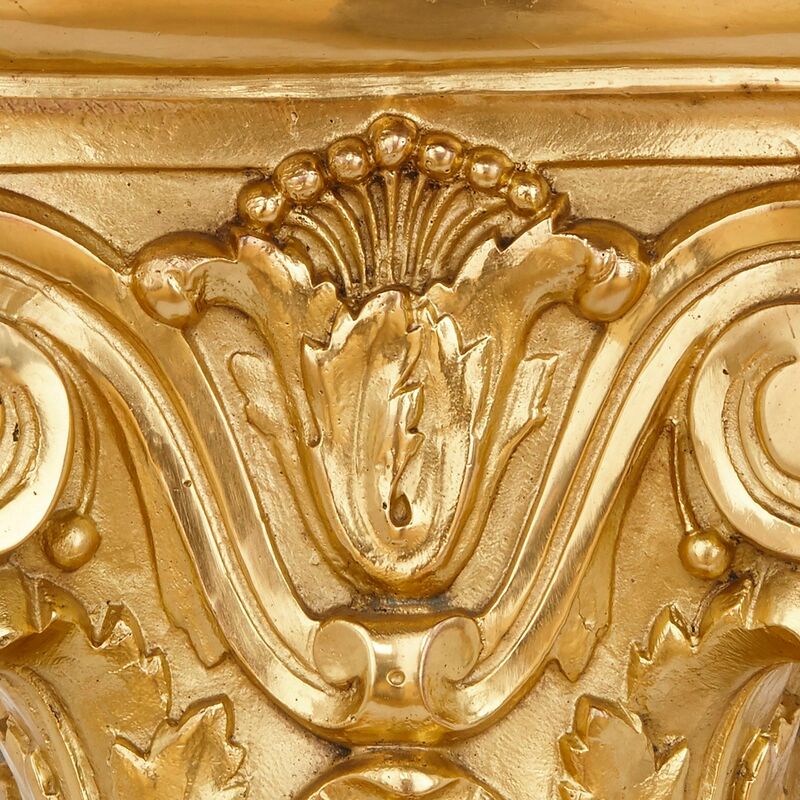 The ormolu is stamped 'GB 296' and 'Gabrol'.